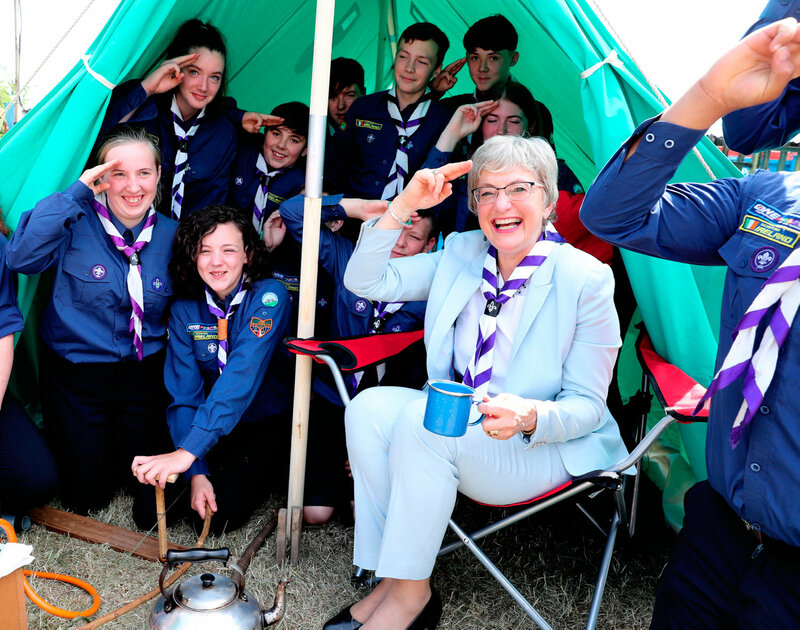 The Minister for Children and Youth Affairs, Dr Katherine Zappone, has today confirmed that she will restore funding to Scouting Ireland for three months after receiving commitments to implement recommendations of an Independent Review. Following publicity surrounding an incident of alleged sexual assault, and of concerns raised about how the matter was handled by Scouting Ireland, in April of this year Minister Zappone decided to withhold all further funding to Scouting Ireland until such time as she could be satisfied that the organisation’s governance standards meet the required level. In May, the Minister appointed Ms Jillian van Turnhout, as an independent expert, to review the governance and related issues within Scouting Ireland. The ‘Review of Scouting Ireland’ carried out by Ms van Turnhout, dated 13th June, makes a number of recommendations which the Minister believes must be implemented before the question of full restoration of funding can be considered. Scouting Ireland has confirmed to the Minister’s Department that its Board has unanimously decided to fully implement the recommendations contained in the ‘Review of Scouting Ireland’. Scouting Ireland has also indicated that significant progress has already been made in implementing a number of the recommendations and in particular recommendations on safeguarding. “I would like to acknowledge the significant progress achieved by Scouting Ireland to date in the implementation of the recommendations contained in the Report, particularly with regard to those recommendations relating to safeguarding issues. In view of the Board’s commitment to the full implementation of the outstanding recommendations, I have decided to restore funding to Scouting Ireland for a further three month period and fund the organisation up until the end of September 2018. On receipt of a further progress report in September 2018 I will be in a position to consider if Scouting Ireland has achieved the strong governance standards required of organisations in receipt of public funding, which would allow for the full restoration of funding to Scouting Ireland.